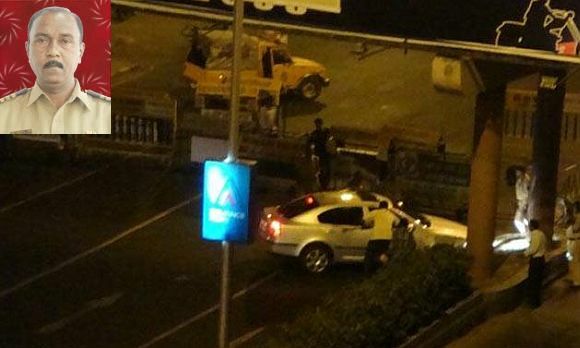 As Mumbai gears up to commemorate the third anniversary of the 26/ll terror attacks, correspondent Nishi Tiwari finds the family of policeman Tukaram Omble, who nabbed dreaded terrorist Ajmal Kasab even as bullets were pumped into him, bravely trying to cope with the loss -- just as he would have liked it. 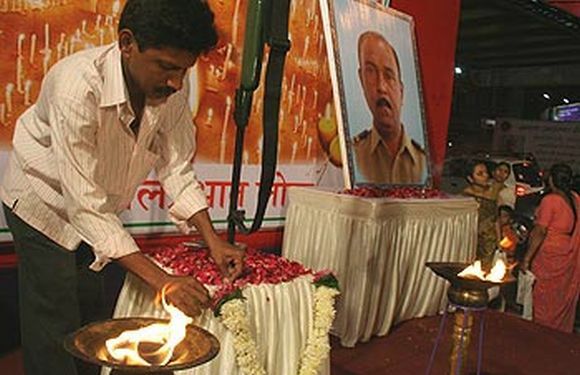 This November 26, three years will have passed since that fateful night when Assistant Sub Inspector Tukaram Omble lost his life while trying to nab terrorist Ajmal Kasab at Mumbai's Girgaum Chowpatty. The storm may have passed for Mumbaikars, but every year, as November 28 approaches, memories of the day come rushing back to Omble's wife Tarabai and his four daughters. "She is still coming to terms with the loss, but around this time each year she is a little more anxious than usual," Vaishali, one of the braveheart's four daughters, describes her mother's state of mind. Tarabai moves around listlessly with a vacant look in her eyes. Vaishali does all the talking while younger sister Bharti retreats to the inner room after offering me water. 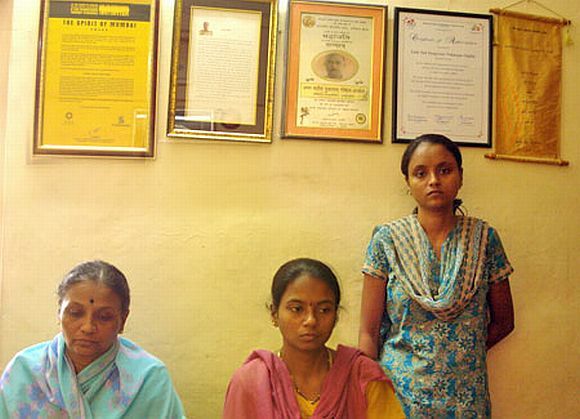 Omble's wife and the two youngest daughters (Vaishali and Bharti) -- the elder two (Pavitra and Vandana) are married -- live in the police colony flat that was allotted to the police officer. While 25-year-old Vaishali is pursuing her masters in education and takes tuitions, Bharti is in the second year of her masters in commerce from Mumbai University. Bharti also holds a clerical job in the traffic department, which she intends to pursue once her studies are over. The government's compensation to the family ensures they get by comfortably, but nothing can quite make up for the loss the family has suffered. "He used to play carrom with us in the evenings; there is no life in this house anymore," says Vaishali, her eyes moist. There are occasions when he is sorely missed. When Vaishiali's elder sister Vandana delivered a baby girl eight months ago, the entire family wished Omble was there to witness it. Vaishali says, "Ever since he has been gone, I have had to do everything, including running errands, the occasional paper work -- I was blissfully unaware of so many things when papa was around." Image: Omble's wife, Tarabai, left, with daughters Vandana and Vaishali. In her brave father's memory, Vaishali has founded a charitable trust through which she intends to help underprivileged people get education and medical aid. The untimely loss has taught her the importance of education and good health. She intends to help people in her father's ancestral village and other less fortunate people around her through the trust. She has just completed the formalities for the same. But that is not where Vaishali's never-say-die spirit ends. About the 26/11 attacks, she says, "We should all take a lesson from the incident and look after ourselves instead of depending on others. I do not want anyone else to go through what we have experienced in the past three years." The Ombles' tragedy is tinged with an immense pride that anchors their resilience. 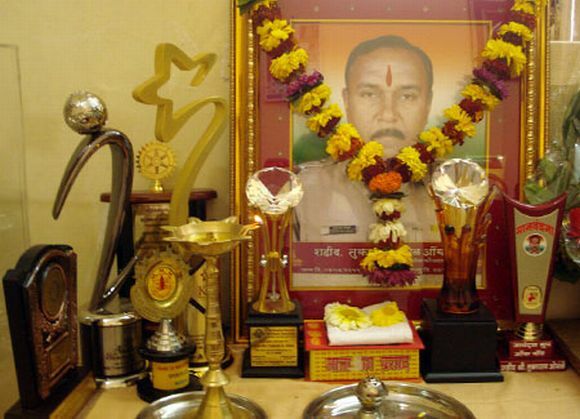 On January 26, 2009, Ashok Chakra -- India's highest peace time gallantry award -- was conferred upon him for his bravery and a chowk near police camp in Worli, a short distance from his residence, was renamed Shahid Tukaram Omble chowk. And the people have not forgotten the supreme sacrifice made by Omble in the call of duty -- questions about his address are met with welcoming smiles. "People we do not even know call up on Diwali and other festivals to enquire if we are doing okay. They send in sweets and some of them even turn up to celebrate with us," says Vaishali.